In the new post series let’s learn I will try to summarize useful links, classes, lectures and recommendations to learn specific topics. I used many of those resources to pass my VCP6-NV exam and thought it might be useful to share them with everyone. I definitely recommend a minimal knowledge the topics that are relevant for Cisco Certified Network Associate certification (CCNA) (or similiar). You should be familiar about concepts of switching, routing, OSI model, etc. Besides to it I recommend to get a basic knowledge about current datacenter network topologies (3 Tier vs. Spine & Leaf). Pro / Cons of each topologies makes it easier to discuss details with network administrators. At the same time make sure you feel comfortable with the vSphere networking components, especially the vSphere virtual distributed switch (vDS). I personally recommend the following sources. CCNA collection @ Pluralsight: As a #vExpert I have gained access to the great education videos at Pluralsight. And to be honest, even if I would not have granted access it would definitely be worth to subscribe for their videos. I watched nearly all CCNA videos by Ross Bagurdes and Chris Wahl and they give you a great introduction of basic networking mechanism and technologies. Basic intro to the Leaf/Spine data center networking fabric design @ youtube: A great video about modern datacenter fabric design. Leaf / Spine performance @ youtube: A video explaining leaf / spine basics. Networking for VMware administrators book @ amazon: To be honest I haven’t read this one, since during my daily doing I gathered a lot of experience of VMware’s side of networking. Anyway, this book has a pretty good reputation (and amazon rating) so that I definetly can recommend this one as a good starting point. Since NSX (the vSphere version) is using a distributed switch it is important to have a good skillset about how to operate with a distributed switch. 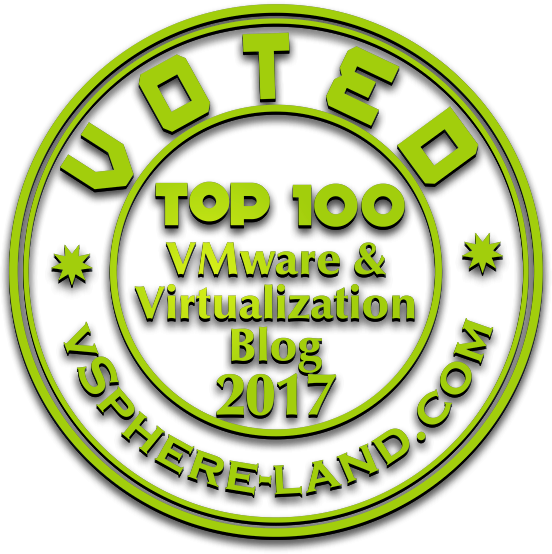 VMware Hands-on-Labs – Distributed Switch from A-Z (HOL-SDDC-1402): VMware has created a fantastic service called Hands-on-Labs. You can gain pretty quickly new skills and first hands-on experiences within a remote environment hosted by VMware. Just register for the service and enroll your lab which you can use for multiple hours. Top of Rack (ToR) vs. End of Rack (EoR) Data Center Designs: An article by Brad Hedlund from the year 2009, but it’s still a good and valid one doing a comparison of the differences between ToR and EoR network architectures. You are ready to dive deeper into the world of VMware NSX now that you master the basics behind computer networks. The most important things to learn in the beginning are the use-cases, spoken which modern datacenter problems are solved by VMware NSX (Security, IP mobility in a leaf / spine architecture via VXLAN, Single pane of glass, software-defined network services). A very good starting point are the 3 videos mentioned (3-5 in the list) to get a very quick idea about what NSX is within less than 3 hours. VMware NSX: Install, Configure & Manage @ VMware Authorized Training Centers (VATC): The best starting point to get into NSX is by visiting the ICM class (since I am a VMware certified instructor I online recommend classroom & live online courses ;-). We have a bunch of good Trainers out there teaching the overall architecture and many aspects of VMware NSX and it’s IMO the best start to get into the NSX field. If you are not already a VCP, this class qualifies you to become a VCP6-NV. Once you finished the class, you als get access to binaries to create your own NSX environment in a test-lab. VMware NSX for Internetworking Experts Fast Track @ VMware Authorized Training Centers (VATC): A class similiar to the ICM, but with a target audience that has more of a network background and less of a virtualization background. VCP6-NV Podcasts @ vBrownbag: vBrownbag has organized (as for many other certification) a series of presentations about all relevant objectives out of the VCP6-NV exam blueprint. Those presentations are a powerful resource to learn and understand the concepts even if you don’t want to do exam. VMworld 2014 NET3305 Virtualize your Network with VMware NSX @ youtube: A good video by Martin Cassado about network virtualization held during VMworld 2014. It gives you a great overview about features, use cases and architecture of VMware NSX. VMworld 2015: NET5560 – VMware NSX Deep Dive @ youtube: I haven’t see the 2015 edition, but I watched a similiar session during VMworld 2014. Even though it is a technical deep dive it gives you a great overview of all relevant VMware NSX components and functionalities within around 1 hour. VMworld 2015: NET4989 – The Future of Network Virtualization with VMware NSX @ youtube: This 2015 session gives you a short outline for further developments within the network virtualization and NSX field. NSX for vSphere introduction and installation @ Pluralsight: A great video by Jason Nash training going through the architecture, functionality and installation process of VMware NSX. NSX for vSphere introduction and installation @ Pluralsight: In this part Jason Nash explains the concepts of network services available within a NSX environment. 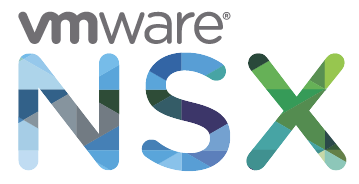 VMware Hands-on-Labs – VMware NSX Introduction (HOL-SDC-1603): A great chance to get hands-on experience (beside the official NSX ICM class) with VMware NSX. Since the NSX binaries are still not available within a public evaluation, the HOL is a great starting point. It leads you through basic tasks about the configuration of logical switches / router, firewall / edge devices and monitoring those elements. VMware NSX for vSphere (NSX-V) Network Virtualization Design Guide @ VMware: A great guide to get an overview about functionality and design considerations for a NSX implementation. NSX for Newbies by Giuliano Bertello @ blog.bertello.org: A nice resource for everyone getting started in the VMware NSX field. Guiliano has created a nice tutorial/walkthrough about all relevant NSX steps and concepts. It also gives you a nice overview about how to set up and optimize NSX for your homelab environment. The following ressources can be relevant for all of you who are planning to become a domain expert within the VCDX field (and possibly achieve the VCIX-NV certification). Since I am still trying to bring myself to an advanced level with NSX, this list will be updated accordingly during my learning process. VMware NSX Operations Guide @ VMware Community: A guide covering operational topics like monitoring, logging, backup & recovery. Enjoy the resources on becoming an expert. If you have any other sources, documents, videos, etc. Let me know and I will add it to this repository. I quickly checked through your NSX newbie series. Looks like a pretty good resource and I have added it to my Beginners list above. Thanks a lot.